November 26, 2015  Urban foragers don't just pick their meals from the trash; many eat only the finest, freshest produce — picked from city trees. The League of Urban Canners harvests fruit from trees to make jam. October 23, 2015  It's apple-picking time. For some of us, that's casual recreation. For tens of thousands of people, though, it's a paycheck — and one stop in a migratory life. February 13, 2015  Government regulators have approved the first genetically modified apples, which don't turn brown when you cut them open. 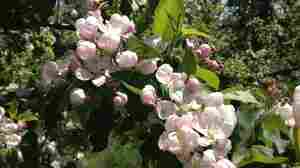 But planting these trees will be a gamble since consumers may not want them. 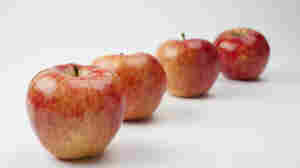 November 10, 2014  New brands are reshaping the apple aisle of supermarkets. 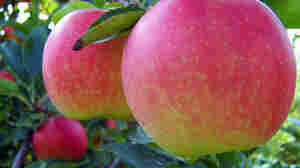 Many are "club apples" --varieties that are controlled and managed by select groups of farmers. September 10, 2014  The Colorado Orange is no orange; it is an apple, with a unique texture and citrus taste. 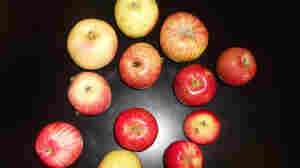 There's a new effort to bring it and other endangered Colorado apples back from the brink of extinction. March 10, 2014  Canada invented ice cider in the '90s. Now it's becoming trendy and Vermont wants to cash in, too. 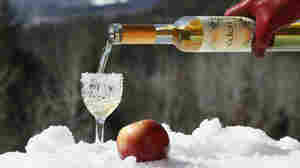 The frigid winter has been just the stuff to turn the state's frozen apples into tasty dessert wine. Courtesy of Okanagan Specialty Fruits Inc. 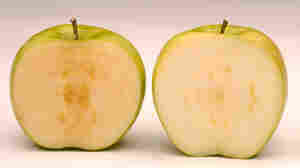 This GMO Apple Won't Brown. Will That Sour The Fruit's Image? 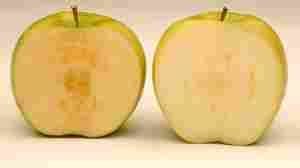 January 8, 2014  A small Canadian company has created a genetically engineered apple that doesn't go brown when you slice it. 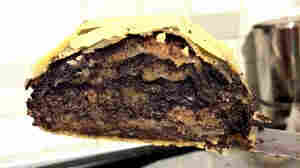 It's waiting for approval from the U.S. Department of Agriculture. 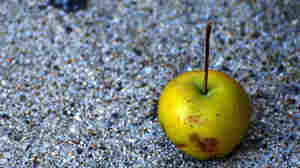 But some apple producers are worried that this new product will taint the apple's wholesome, all-natural image. October 31, 2013  A Halloween apple was once a powerful symbol of fertility and immortality. 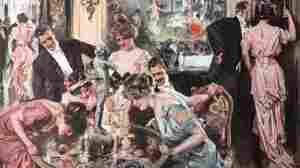 In Europe and the early years of America, girls used apples and apple peels to divine their romantic destiny. 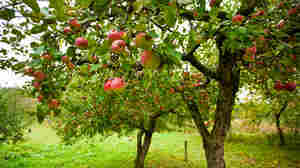 October 14, 2013  Michigan is expected to bring in a record-setting apple crop this year. So how do you sort and package 2,000 Galas in a minute? Farmers have turned to the Rolls Royce of fruit processing: a robot that uses computer vision to weed out the bad apples. 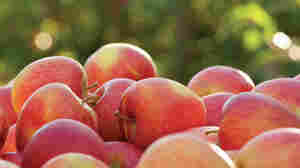 October 9, 2013  Over the past six years, an estimated 130 new apple varieties have hit markets around the globe. And behind every crisp, tasty bite, there's a world of plant breeding — and decades of painful trial and error. July 12, 2013  The FDA's proposal would set a threshold of 10 parts per billion for inorganic arsenic in apple juice — the same standard used for drinking water. In 2011, a pair of investigations raised alarms about the levels of inorganic arsenic, a carcinogen, in the juice. May 14, 2013  The apple trees are heading for full blossom in Michigan after a disastrous 2012 crop, when only 15 percent of the apples survived. But this year's harvest is expected to rebound. 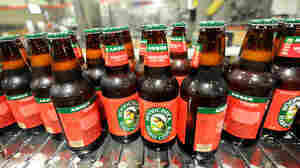 November 8, 2012  The fruit-based alcoholic drink may not yet rival beer in popularity, but sales have been increasing rapidly in the past few years. 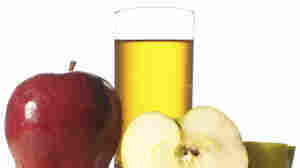 A variety of flavors and the use of fruits other than the traditional apple are helping to attract a new generation of hard cider drinkers. October 8, 2012  American apple trees used to be big. So what made them shrink? Farmers decided to use dwarfing rootstocks.